In times of sadness or distress, I have often sought the comfort in the idea that the best is yet to come. To me, the 'best' doesn't have to be the glitz and the glamour of some star-studded, bright-lights premiere where I'd walk down the red carpet in a custom Vera Wan ballgown everyone is screaming my name. The 'best' can be a steaming hot cup of coffee early one November morning when it's still dark outside and all I can see when I look up is the fluorescent amber glow of street lights against the slow rise of dawn. 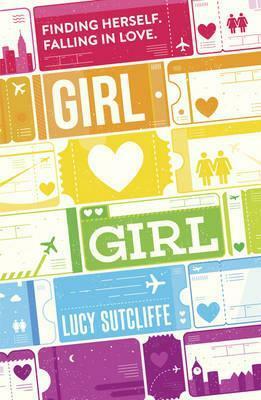 An inspiring, uplifting and sympathetic story about sexuality and self-acceptance, Lucy Sutcliffe's debut memoir is a personal and moving coming out story. In 2010, at seventeen, Lucy Sutcliffe began an online friendship with Kaelyn, a young veterinary student from Michigan. Within months, they began a long distance relationship, finally meeting in the summer of 2011. Lucy's video montage of their first week spent together in Saint Kitts, which she posted to the couple's YouTube channel, was the first in a series of films documenting their long-distance relationship. Funny, tender and candid, the films attracted them a vast online following. Now, for the first time, Lucy's writing about the incredible personal journey she's been on; from never quite wanting the fairy-tale of Prince Charming to realising she was gay at the age of 14, through three years of self-denial to finally coming out to friends and family, to meeting her American girlfriend Kaelyn. I'd never heard of Lucy or Kaelyn before reading this book, but I felt like I got to know them so well, that I found myself tuning into their Youtube channel. Lucy comes across as a really lovely girl when reading about her life and that is only echoed when watching her videos. The book is autobiographical and deals with Lucy's experiences with coming out. We see her from a young age, realising that she felt differently about boys to her friends and watching it dawn on her that she was a lesbian. She is honest about her fears in telling her friends and family the truth. We also see her blossoming relationship with Kaelyn, which is really sweet and it was lovely to see a long distance romance develop. I can see why this book will be popular as so many teens watch Lucy and Kaelyn's channel. Their determination and devotion to helping others be comfortable and truthful about their sexuality will make their fans desperate to read this book. Personally I would have liked to know more about Kaelyn and Lucy's developing relationship as it felt the book dealt more with her past than her present and their relationship. However, I'm positive many teens will really enjoy this book and come away with something. It really is an important read which will help many teens confront their own sexuality and their fears about coming out. I would highly recommend you go and watch the girl's on their Youtube channel once you have read the book as they are really are fabulous to watch. 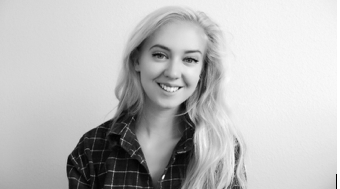 Co-star of the popular YouTube channel Kaelyn and Lucy which documented the long distance relationship she had with Kaelyn Petras. She and Kaelyn finally came together in August of 2014, ending the long distance element of their relationship. She works as a freelance film editor and author. She and Kaelyn's channel mainly focuses on advice videos for LGBT youth. She was born in Welwyn Garden City, Hertfordshire to parents Sharon and Roger Sutcliffe. There is a tour-wide giveaway! 3 copies of Girl Hearts Girl for 3 lucky winners! Participants must live in UK or IRL. Don't forget to catch all the the other stops on the blog tour.